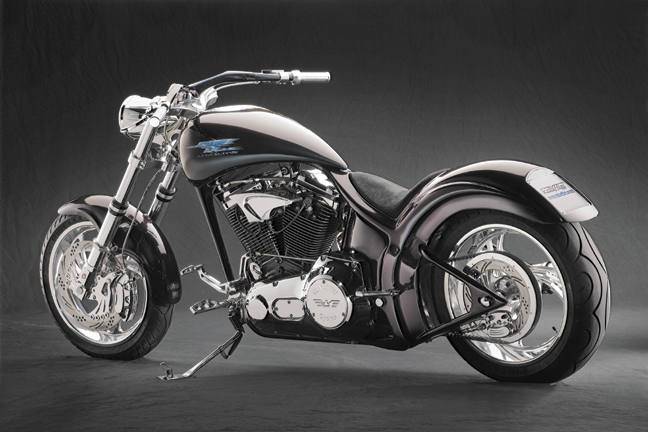 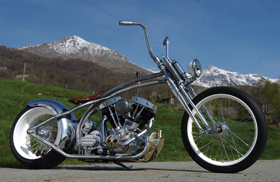 Here is a good view of our chrome 3D fobos coil cover and top motor mount kit for softail evolution. 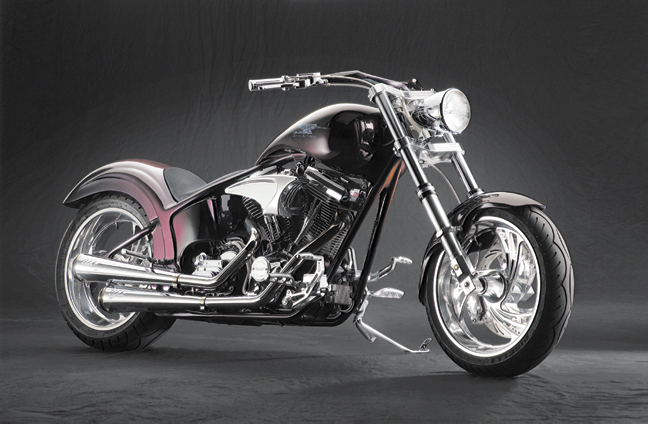 Our Nail style wheels with pulley-rotor combo can still be produced as special order items. 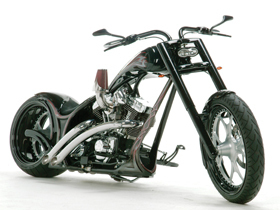 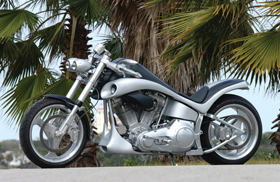 On the left side of the Apocalipse custom motorcycle you can find our chrome 3D fobos aircleaner cover. 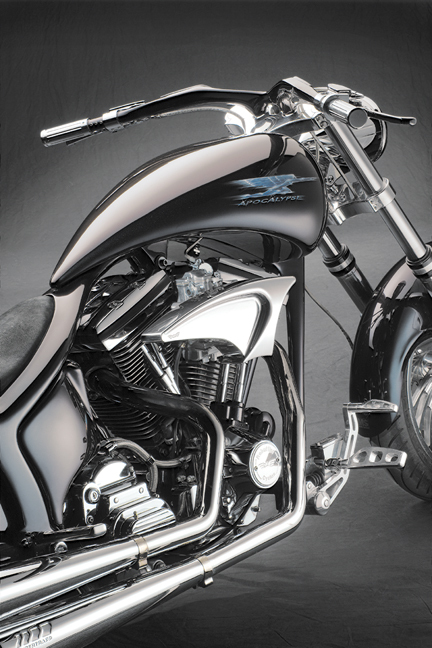 Close-up view of our chrome 3D fobos coil cover and top motor mount kit for softail evolution. 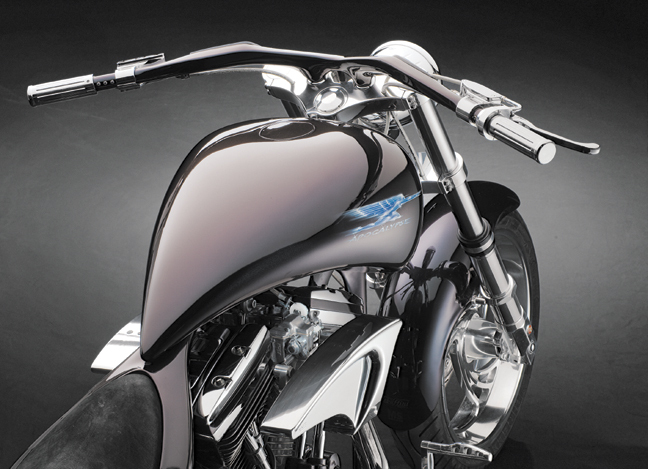 Top view of our chrome 3D fobos aircleaner cover. 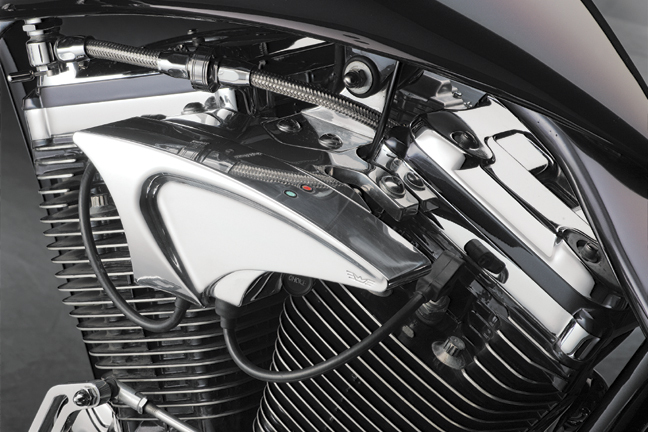 On the left side of the handlebars you can spot our super-clean universal push buttons.